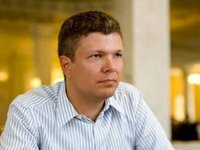 Judicial reform in Ukraine will be neutralized if the Constitutional Court of Ukraine recognizes some provisions of the law "On Judicial System and Status of Judges" as contravening the Basic Law in regards the Supreme Court, First Deputy Head of the Verkhovna Rada Committee on Legal Policy Leonid Yemets has said. "The main problem of judicial reform is the ruling of the Supreme Court on the appeal of the law "On the Judicial System and Status of Judges," appealing the competition to the Supreme Court and the elimination of the high specialized courts," Yemets said during the public forum "Citizen. Judge. The Way the Judicial Reform will Affect Each of Us" in Kyiv on Monday. "If this ruling is made, then what we're talking now, the whole judicial reform means nothing. It costs nothing, like the state apparatus, which is not able to ensure the things our society demands," he said. As reported on October 6, the Constitutional Court received arguments from the Supreme Court on the constitutionality of certain provisions of the law "On the Judicial System and Status of Judges." It was assigned for study in the Registry. Earlier, head of the Supreme Court of Ukraine Yaroslav Romaniuk said that the provisions of the Constitution were violated with respect to the subject, which takes the decision to liquidate the courts. "And under the Constitution, which was in force at the time of adoption of this document, and for the Constitution, which now remains in effect until the end of 2017 – these are the powers of the president of Ukraine, but not of the Verkhovna Rada," he said.